Sarasota, FL ( August 12, 2013) - The National Black Republican Association (NBRA) based in Sarasota, FL, headed by Chairman Frances Rice, filed Articles of Impeachment against President Barack Obama with the following language. On July 4, 1776, the founders of our nation declared their independence from governmental tyranny and reaffirmed their faith in independence with the ratification of the Bill of Rights in 1791. 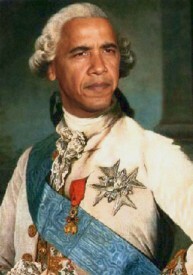 “When a long train of abuses and usurpations, pursuing invariably the same Object evinces a design to reduce them under absolute Despotism, it is their right, it is their duty, to throw off such Government, and to provide new Guards for their future security.” - Declaration of Independence, July 4, 1776. Specific conduct includes: (1) failing to adequately secure the US Consulate and the CIA annex in Benghazi; (2) failing to send a response team to rescue embattled US citizens in Benghazi; (3) lying to the American people about why the US Consulate and the CIA annex were attacked in Benghazi; and (4) hiding from the media and congressional investigators the Central Intelligence Agency personnel and other wounded US citizens who were on the ground in Benghazi by scattering them throughout the United States, forcing them to adopt new identities and subjecting them to monthly polygraph tests. Elements of this illegal conduct include the facts that: (1) the head of the Internal Revenue Service tax-exempt organization division, Lois Lerner, admitted during a telephonic press event that illegal targeting occurred, then invoked her Fifth Amendment right and refused to answer questions before Congress about the targeting out of fear of self-incrimination; (2) two other career Internal Revenue Service employees stated that they acted at the behest of superiors in Washington -- Carter Hull, a retired Internal Revenue Service Attorney and Elizabeth Hofacre, an employee of the Cincinnati IRS office which oversaw tax-exempt applications; and (3) Carter Hull stated that he was directed to forward the targeted applications to, among others, one of only two political appointees in the Internal Revenue Service Chief Counsel William Wilkins. 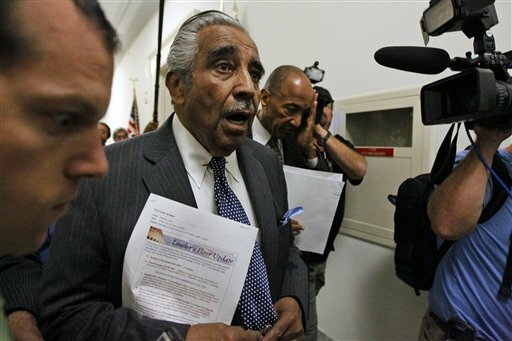 Memo to Charlie Rangel: You’re in some pretty uncharted waters if former Gov. David Paterson — son of one of your closest friends and allies — is publicly taking you to task for your racially charged remarks. The hoopla began with a Rangel slam against the Tea Party: “It is the same group we faced in the South with those white crackers and the dogs and the police,” the Harlem congressman told Politico. “They didn’t care about how they looked.” In other words, the Tea Partiers are the heirs of Bull Connor and the segregationists. A few days later, as a guest on Mike Huckabee’s radio show, Rangel was treated to a thumping — not by an outraged Republican, but by Paterson. “I thought it was totally out of line for the congressman to lump what went on during the desegregation movement in with the people who just have honest political disagreements,” Paterson said. There’s an irony here that Paterson — the state’s first black and legally blind governor — may appreciate, even if Rangel does not. Far from being akin to the violent segregationists of the 1960s, the Tea Party has made today’s Republican Party more diverse. The Tea Party movement arose in 2009, played a key role in the 2010 and 2012 elections, and saw many of its candidates triumph. And who are these people? They include Hispanic senators Marco Rubio in Florida and Ted Cruz in Texas; Indian-American Gov. 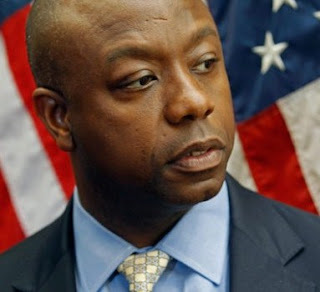 Nikki Haley of South Carolina; Hispanic governors Susana Martinez of New Mexico and Brian Sandoval of Nevada; African-American Sen. Tim Scott of South Carolina (elected to the House in 2010 before being appointed by Haley to fill retiring Sen. Jim DeMint’s unexpired term). In fact, thanks in part to the Tea Partiers, Republicans now make up two-thirds of the Senate’s Latinos, and Scott is the only African-American in the upper chamber. Hope you’re paying attention, Charlie. First, weaken the black family, but don't blame it on individual choices. You have to preach that today's weak black family is a legacy of slavery, Jim Crow and racism. The truth is that black female-headed households were just 18 percent of households in 1950, as opposed to about 68 percent today. In fact, from 1890 to 1940, the black marriage rate was slightly higher than that of whites. Even during slavery, when marriage was forbidden for blacks, most black children lived in biological two-parent families. In New York City, in 1925, 85 percent of black households were two-parent households. 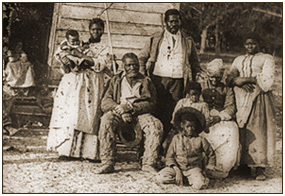 A study of 1880 family structure in Philadelphia shows that three-quarters of black families were two-parent households. 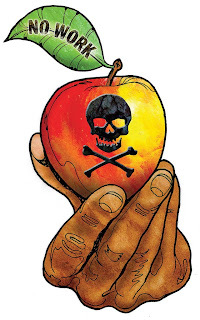 Along with the decline of the black family comes anti-social behavior, manifested by high crime rates. Each year, roughly 7,000 blacks are murdered. Ninety-four percent of the time, the murderer is another black person. According to the Bureau of Justice Statistics, between 1976 and 2011, there were 279,384 black murder victims. Using the 94 percent figure means that 262,621 were murdered by other blacks. Though blacks are 13 percent of the nation's population, they account for more than 50 percent of homicide victims. Nationally, the black homicide victimization rate is six times that of whites, and in some cities, it's 22 times that of whites. I'd like for the president, the civil rights establishment, white liberals and the news media, who spent massive resources protesting the George Zimmerman trial's verdict, to tell the nation whether they believe that the major murder problem blacks face is murder by whites. There are no such protests against the thousands of black murders. There's an organization called NeighborhoodScout. Using 2011 population data from the U.S. Census Bureau, 2011 crime statistics from the FBI and information from 17,000 local law enforcement agencies in the country, it came up with a report titled "Top 25 Most Dangerous Neighborhoods in America." 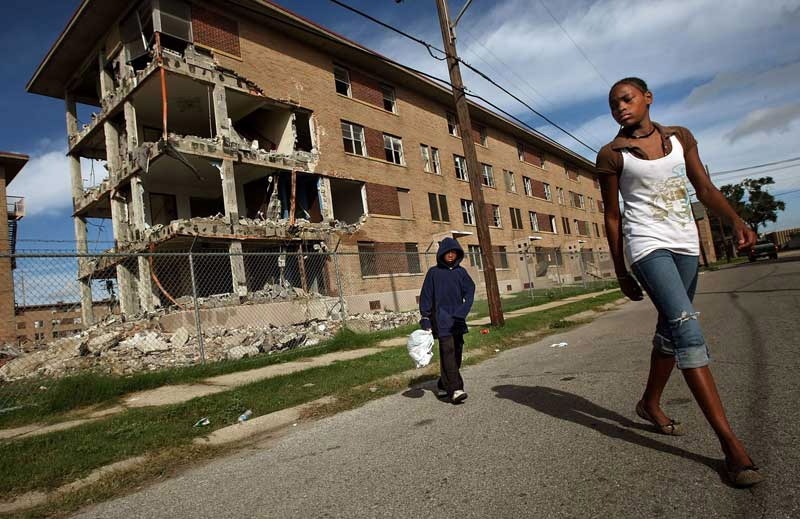 (http://tinyurl.com/cdqrev4) They include neighborhoods in Detroit, Chicago, Houston, St. Louis and other major cities. What's common to all 25 neighborhoods is that their makeup is described as "Black" or "Mostly Black." The high crime rates have several outcomes that are not in the best interests of the overwhelmingly law-abiding people in these neighborhoods. There can't be much economic development. Property has a lower value, but worst of all, people can't live with the kind of personal security that most Americans enjoy. Sen. Tim Scott, the U.S. Senate’s only black lawmaker, said Friday he is “disappointed” in Senate Majority Leader Harry Reid’s “offensive” comments about race made during a call-in radio show in Nevada. Reid, a Democrat, said Friday he “seriously” hopes that Republicans are not blocking President Obama’s initiatives because he is black. Reid was responding to a caller who asked him if he believes Republicans are working to make President Obama a failure, which some Republicans had signaled they would do when he was first elected. 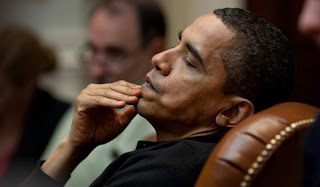 The Nevada Democrat pointed to comments made in 2010 by Senate Minority Leader Mitch McConnell, R-Ky., in which he said his goal was to make sure Obama was a one-term president. “I am sincerely disappointed by continued attempts to divide the American people by playing to the lowest common denominator. Instead of engaging in serious debate about the failed policies of this administration – from the ever-increasing burdens created by the national health care reform plan to the tax-and-spend approach to economic recovery, along with countless others – Democrats are once again trying to hide behind a smokescreen. After attacking Bill O’Reilly’s history last week, I’ll defend his sociology this week. On Monday, MSNBC’s Lawrence O’Donnell ridiculed Fox News’ O’Reilly for saying that single motherhood is responsible for the high black crime rate. O’Donnell mocked O’Reilly, saying that “the struggles of black America have nothing to do with slavery in Bill O’Reilly’s very narrow and uneducated mind.” He then droned on about some paper Daniel Patrick Moynihan wrote about slavery. While I’m sure that was a fascinating little monograph Moynihan wrote about slavery, O’Donnell cited nothing in it that contradicted O’Reilly. Apparently, Moynihan found that American slavery was “the most awful the world has ever known.” True, but unfortunately that has nothing to do with what O’Reilly said. It doesn’t even sound like Moynihan was attributing black illegitimacy to slavery. O’Donnell’s point was simply that the great Moynihan had written about slavery being bad, so all discussion must end. Fortunately, all discussion did not end for Erol Ricketts, a (black) demographer and sociologist with the Rockefeller Foundation who researched the origin of black female-headed families in the 1980s. His studies showed that the black family was thriving from the late 19th century through most of the 20th century. You don’t get much poorer, deprived or discriminated against than being a black person in America just a generation out of slavery. Examining nearly a century of U.S. census reports, Ricketts found that between 1890 and 1950, blacks had higher marriage rates than whites. Until 1970, black women were more likely to get married than white women — and that was despite the high mortality rates among black men, leaving fewer available for marriage. In three of four decennial years between 1890 and 1920, black men out-married white men. Whatever else may cause illegitimacy and its associated problems, it isn’t poverty, discrimination, lack of education, unemployment or slavery. Black Americans had all those handicaps — and yet they still had strong families and low crime rates from 1890 until the 1960s. But in the ’60s, liberals decided it would be a great idea to start subsidizing illegitimacy. But under President Lyndon Johnson, that’s exactly what the government did. The “suitable home” requirements for welfare — such as having a husband — were jettisoned by liberal know-it-alls in the federal Bureau of Public Assistance. As a result, illegitimacy went through the roof, particularly among blacks, our most vulnerable fellow citizens. In 1970, for the first time, the marriage rate for black women fell below 70 percent. But even then, a majority of black children were still living with both parents. By 2010, only 30.1 percent of blacks above the age of 15 were married, compared to 52.7 percent of whites. Liberals keep using the bad consequences of their policies as an argument for more of the same policies. Government subsidies to unwed mothers increase the illegitimacy rate, which in turn leads to poverty, criminal behavior and more illegitimacy. So Democrats reverse cause and effect to claim it’s the poverty that causes illegitimacy and then demand more payments to unwed mothers. 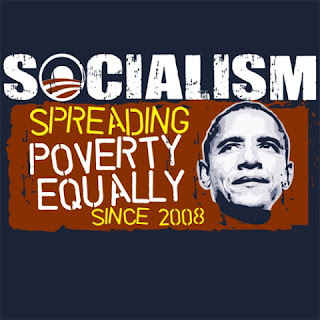 Nor is there a speck of evidence that poverty causes crime. Murder is the only crime that has been reliably tracked since 1900. From the turn of the century right up to the early 1930s, the murder rate rose steadily, with a few peaks and valleys. Then it began a noticeable decline right at the beginning of the Great Depression, remaining low until the mid-1940s, and rising again only at the end of the Depression. So while it’s fascinating that Moynihan concluded that slavery was awful (I think we knew that! ), O’Reilly is absolutely right that it’s illegitimacy driving the black crime rate. Does anyone read anymore? I mean, besides tweets from Anthony Weiner? During his otherwise excellent commentaries on race in America, Bill O’Reilly, host of the No. 1 cable news show, claimed on Tuesday night that the one person who tried to help African-Americans more than any other was … Robert F. Kennedy! Although this myth has been polished to perfection by the Kennedy PR machine (requiring all Kennedy stories to illustrate either courage or adorableness), it is simply a fact that helping blacks was not the Democrats’ priority. Even the ones who wanted to, such as Bobby and John Kennedy, couldn’t risk upsetting the segregationists, more than 90 percent of whom were Democratic. The job of actually enforcing civil rights and desegregating Southern schools fell to Presidents Dwight Eisenhower and Richard Nixon. 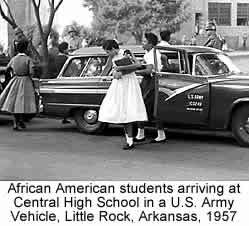 Five years after Eisenhower had shown the Democrats how its done by sending federal troops to desegregate Central High School in Little Rock, Ark., President Kennedy and brother Bobby still dragged their feet in helping James Meredith enter the University of Mississippi. 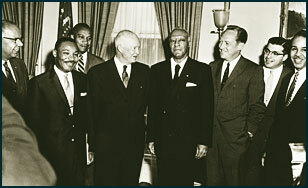 Photo: President Dwight Eisenhower meets with Dr. Martin Luther King, Jr. In response to Meredith’s eloquent letter, Bobby Kennedy did nothing. And that’s how Bobby Kennedy “cleaned out the rat’s nest that was abusing African-Americans in the South”! Remember: This was seven years after the Supreme Court had already handed down its decision in Brown v. Board of Education — a ruling expressly endorsed in the Republican Party platform, but not the Democratic platform, I might add. But Democrats were in the White House, so Meredith had to take his case to the Supreme Court. Liberals were engaging in their usual massive resistance to court rulings they don’t like and neither Bobby nor John Kennedy would dare try to stop them. You will notice that the Freedom Rides and civil rights marches all took place under Democratic presidents. It was the only way to get Democratic administrations to intervene against their fellow Democrats. In June 1962, a federal appellate court ruled that Meredith had been denied admittance to Ole Miss because of his race and ordered the university to enroll him. (At least that’s how the two Republican judges voted; the segregationist FDR appointee dissented.) But one old segregationist on the court — who had not even sat on the case — kept issuing stays to prevent enforcement of the ruling. Only when these illegitimate stays were appealed to the Supreme Court did Bobby Kennedy’s Justice Department finally weigh in, asking Justice Hugo Black, the circuit justice, to lift the stays — nearly two years after Meredith had written to the Department of Justice asking for its help. Needless to say, Justice Black came down on Meredith’s side in a matter of about six seconds. The full court had already decided the school segregation issue years earlier in Brown. But the state still would not admit Meredith to Ole Miss. With a showdown inevitable, President Kennedy, on the counsel of his trusted attorney general, Bobby Kennedy, wrote a letter to the segregationist Democrat governor of Mississippi, Ross Barnett. 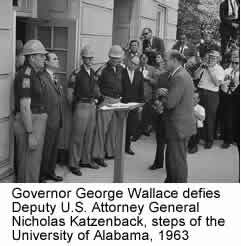 Yes, eventually the Kennedy brothers sent the National Guard to force the University of Mississippi to admit James Meredith. It wasn’t hard to figure out what to do: Eisenhower had sent in the 101st Airborne to enforce desegregation back in 1957 against a much more tenacious segregationist (and Bill Clinton pal), Gov. Orval Faubus of Arkansas. Black Americans may say hosannas to Bobby Kennedy, but they would have to wait for Richard Nixon to become president to win the promise of Brown v. Board. Within Nixon’s first two years in the White House, black students attending segregated schools in the South declined from nearly 70 percent to 18.4 percent. There was more desegregation of American public schools in Nixon’s first term than in any historical period before or since. Photo: President Richard Nixon and Dr. Martin Luther King, Jr.
Crediting Bobby Kennedy for the great work he did on behalf of black Americans would be like calling Harry Reid the country’s greatest champion of the unborn. Sure, Reid says he’s pro-life, but he dare not act on it lest he upset the rest of his party. 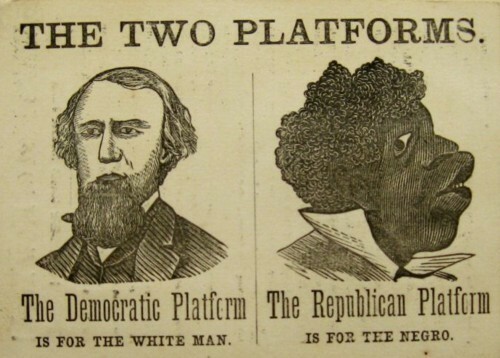 It was the same with Democrats and civil rights. 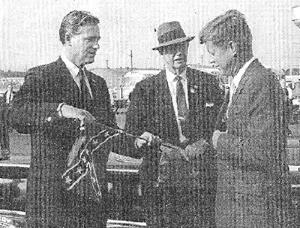 If you want to say something nice about Bobby Kennedy, remind everyone that he proudly worked for Sen. Joe McCarthy. President Obama has been rolling up his sleeves campaigning across the country delivering a surreal stump speech message supposedly aimed at the middle class: big government works, Obamacare is manna from heaven, the wave of recent scandals are “phony” figments of the imagination, and all economic problems are the fault of the Republicans. Conveniently, he leaves out the bankruptcy of Detroit, a city run by his own party for more than half a century. His message is so stale and unconvincing, that even The New York Times and Washington Post have noticed. Both papers, usually loyal to Obama, remarked that Tuesday’s speech by the president in Chattanooga, Tennessee, was largely a rehash of old rhetoric, with The Post commenting that Obama’s “grand bargain” for the middle class was merely “a repackaging of old proposals,” and swiftly rebuffed by the GOP. President Obama claims that “as long as I have the privilege of serving as your President. I’ll spend every minute of every day I have left in this office doing everything I can to build that better bargain for the middle class and make this country a place where everyone who works hard can get ahead.” The problem for Obama is that the American public isn’t buying the Kool-Aid. Poll after poll in the last couple of weeks have shown the president’s job approval ratings at their lowest levels for two years. The White House’s flagship health care reforms are so unpopular that even Democrats are starting to turn against it. In California the president’s ratings have plummeted by ten percentage points. In Tennessee, Barack Obama talked about shoring up the middle class, but has little understanding of the real issues that middle class voters are facing today – high taxes, burdensome regulations facing small businesses, high levels of unemployment, concern over staggering levels of government debt and unfunded pension liabilities, to name but a few. If Obama was serious about helping the middle class he would ditch the failed big government rhetoric, while cutting taxes, and encouraging the growth of economic freedom. However, instead of offering a constructive approach advancing policies that actually work, the president continues to insist on resorting to the outdated language of class warfare in true left-wing tradition, with a 1970s-style bash the rich theme, much like Francois Hollande in France. There is more than a whiff of hypocrisy to all this. 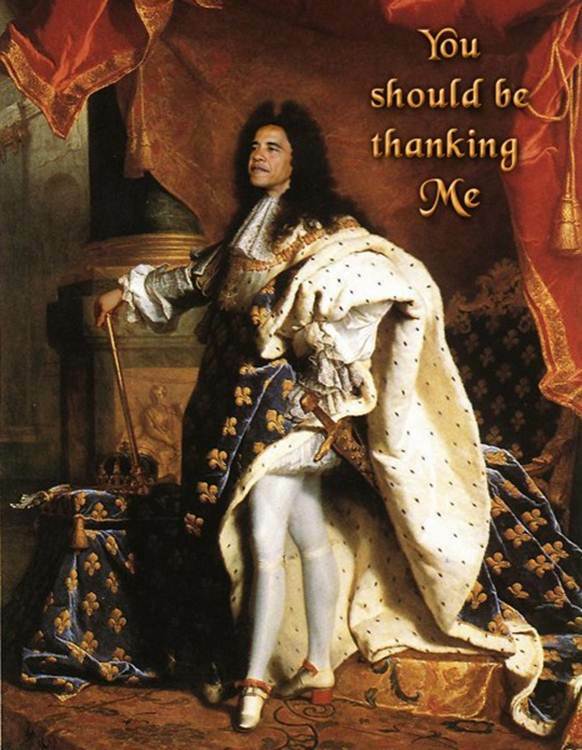 Obama can’t escape the fact that his own lavish lifestyle is distinctly that of the “one percent” he loves to demonize. 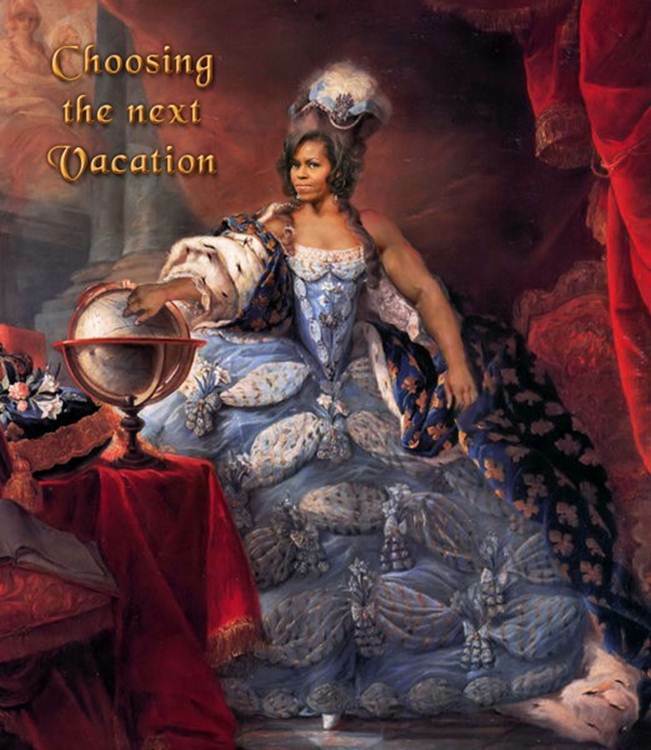 These vacations don’t come cheap to the US taxpayer. Barack Obama’s January holiday in Hawaii cost a staggering $7 million to the public purse, at a time when the country is nearly $17 trillion in debt. President Obama has urged Americans in the past to make sacrifices, but clearly isn’t willing to do so himself, one of the many reasons why his message on the economy rings hollow today. It is hard to see how President Obama’s Martha’s Vineyard sojourn is going to endear him to an increasingly skeptical public, a majority of whom still believe the country is in recession. It will simply reinforce the image of an out of touch president who lives in a bubble, divorced from the significantly tougher reality that most Americans face. In addition, Obama's recent Knox and Chattanooga speeches are a reflection of a presidency in denial, one that preaches to the middle class without actually helping it. Friday's jobs report was a disappointing, but it also contained a truly heartbreaking statistic. 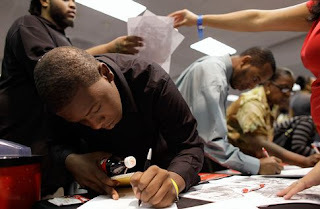 Black teen unemployment is a shocking 41.6%. In July last year, the unemployment was considerably lower, at 36%. That almost half of black teens who want to work can't find jobs is a stain on Obama's economic policies. This isn't a numbers trick. This isn't a rate based on the whole black teen population in the country. This is the proportion on the black teen population that is looking for work but can't find a job. Just in March, the number was 8-points lower at 33%. The white teen unemployment rate is half the black rate, although a still high 20%. The heartbreaking thing is that these teens haven't given up hope and left the job market, something that has artificially lowered the overall unemployment rate. The unemployment rate is based on those who want a job and are trying to find one. In recent months, President Obama and national Democrats have increased calls to raise the minimum wage or impose "living wages" on certain companies in urban areas. Minimum wage jobs, however, are often "first jobs," providing that critical first rung on the jobs' ladder. Indeed, more than two-thirds of minimum wage employees receive a raise within the first year on the job. You can't get a raise, however, without first having a job. Our economic policies are abandoning a generation and threatening to create a permanent underclass. It is shameful. WASHINGTON (CBSDC) — A record number of young adults are living with their parents. The number rose from 32 percent at the beginning of the Great Recession in 2007 and 34 percent in 2009. Declining employment led more young adults to stay with their parents. Sixty-three percent of Millennials had jobs in 2012, down from 70 percent in 2007. The study also found that the number of 18- to 24-year-olds who were enrolled in college rose from 35 percent in March 2007 to 39 percent in March 2012 and that the number of Millennials dropped to 25 percent last year from 30 percent in 2007. The Labor Department released its latest job report Friday, showing the economy added 162,000 jobs last month while the unemployment rate edged lower to 7.4 percent. A (New) Lost Generation: As the media focus on a slight drop in unemployment, an ugly trend gets ignored: the declining participation of young Americans in the job market. We'll pay for this for decades to come. We keep hearing the job market is "improving" or even "solid," with 162,000 new positions created in July and unemployment falling to 7.4%, the lowest since 2008. But one group is sitting it out. And it's the one that most enthusiastically embraced Barack Obama in both of his presidential elections: America's young. Their unemployment rate is a shocking 16.1%. Increasingly, those ages 18 to 29, the so-called Millennials, are being left out of the market, with tenuous or no ties to the workplace. Just 43.6% of this group have full-time jobs, according to Gallup. So what are they doing? As a new Pew Research report shows, many are just hanging around their parents' houses; 21.1 million young Americans live with their folks, more than ever. Over at Power Line blog, Joe Malchow crunched some not-very-pretty numbers on youth labor-force participation. Participation among 18-to-19-year-olds has declined 11.3% since Obama took office. For those ages 20 to 24, it has dropped 3.4%. These are the biggest declines for any age cohort. And if they aren't bad enough, teen unemployment among blacks is an unbelievable 41%. To the pundits, this is all "mystifying." But it isn't really. Call it decline by design. The president's regulatory siege, tax hikes on entrepreneurs, the imposition of ObamaCare and a senseless 42% hike in the minimum wage since 2007 have conspired to price young workers out of the job market. Employers hire only those whose productivity exceeds their pay. When wages and the cost of regulation and health care rise, there's little room on the payroll for young, inexperienced workers. The temptation is to minimize the problem, thinking these young people will catch up. But they won't. For generations, Americans have learned their basic work ethic in low-paying starter jobs. They learned they won't always like what they do, but that they should do it well anyway and that hard work is usually rewarded. They learned to show up on time, dress appropriately, be polite and follow instructions. These are the basics of productivity that make our economy work. What lessons will millions of young men and women learn as they while away their time playing computer games in their parents' basements? And this is the generation we're counting to shoulder the increasing entitlement costs for the nation's elderly. With $70 trillion in current liabilities, who's kidding whom? As we said, this is no accident. It's bad enough that more than 130 million mostly older Americans get regular checks from government. Now the liberals in charge in Washington seem to want a whole new generation of dependents — needy young people who also rely on government and see the wealth-creating private sector as something scary and chaotic. If that's their plan, it's working — all too well.